Whilst browsing through my copy of Wired, I came across an advertisement for the Movado Edge. This Yves Behar designed chronograph is a thing of beauty. A large black dot rises above a rippled concave dial. Nested beneath it are three smartly designed subdials. What caught my attention, however, were the hands. The second hand was colored white; the minute hand, gray; and the hour hand, green. If I were a bold man, I could choose an alternative color scheme featuring a red hour hand. This is an audacious attempt by Movado to change the basic styling of a wristwatch. It might succeed. Certainly the Edge is a handsome timepiece. Perhaps by this time next year, all new watches will feature mix-matched hands. Big American companies are not alone when it comes to this type of experimentation. In fact, the Aatos G-ThosBrBrBr and its brother, the Aatos G-TiosBrBrBr, are virtual testbeds of styling techniques. 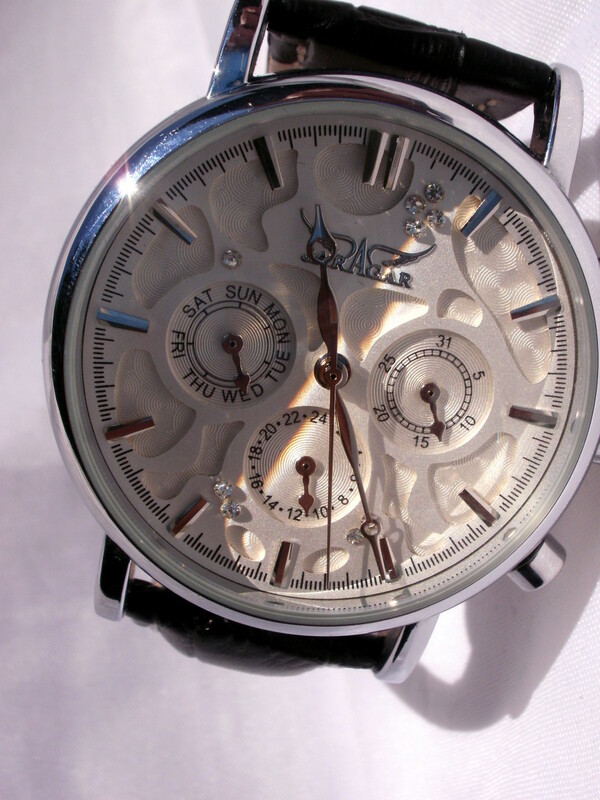 I purchased this watch at auction on Ebay. 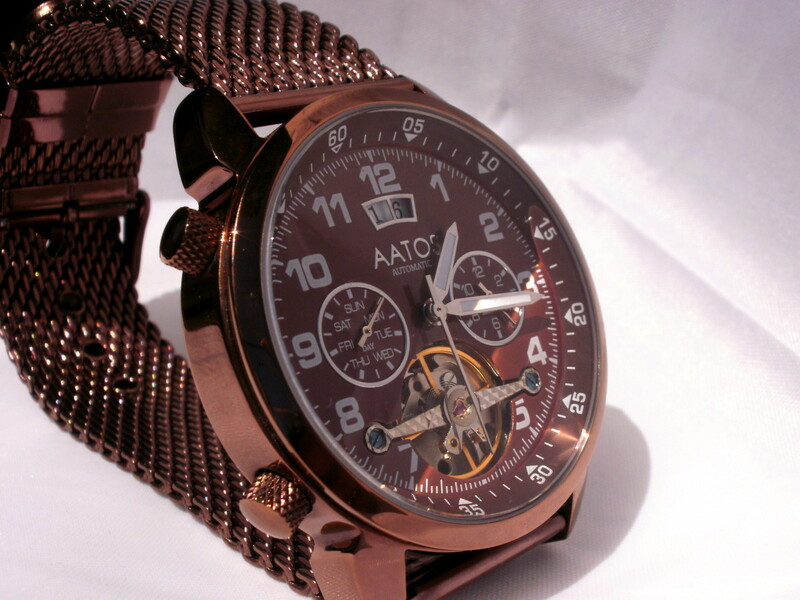 Lightly used, this well featured Aatos sells for between forty and fifty dollars. My belief is that these watches are old stock rather than used. They come without warranty and, unless you reside in Europe, a nineteen-dollar shipping fee is applicable. A new version of this timepiece does not appear to be available. The watch arrived well packed and on schedule. A box was included but the item lacked a tag. 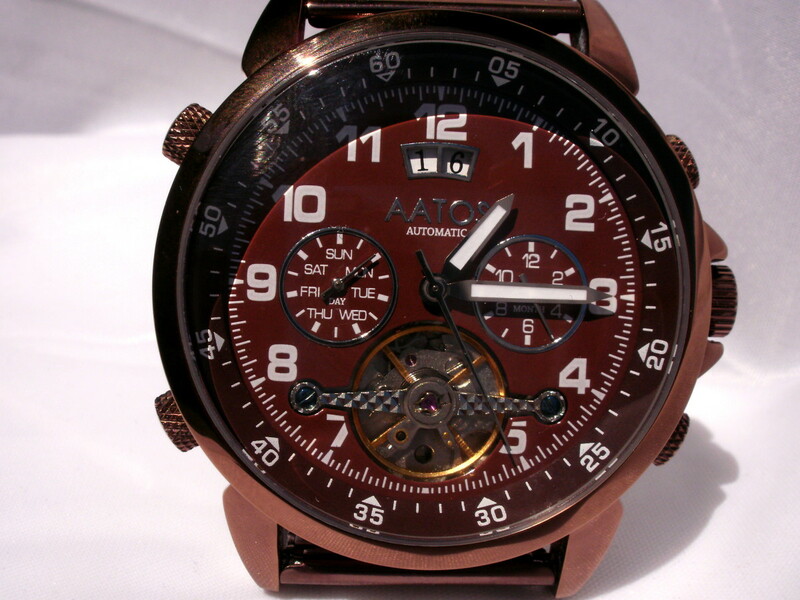 This Aatos is the heaviest timepiece I possess, weighing in at 144 grams (5.08 ounces). Including crown, its circumference measures 46mm across. The timepiece is 16.8mm thick. 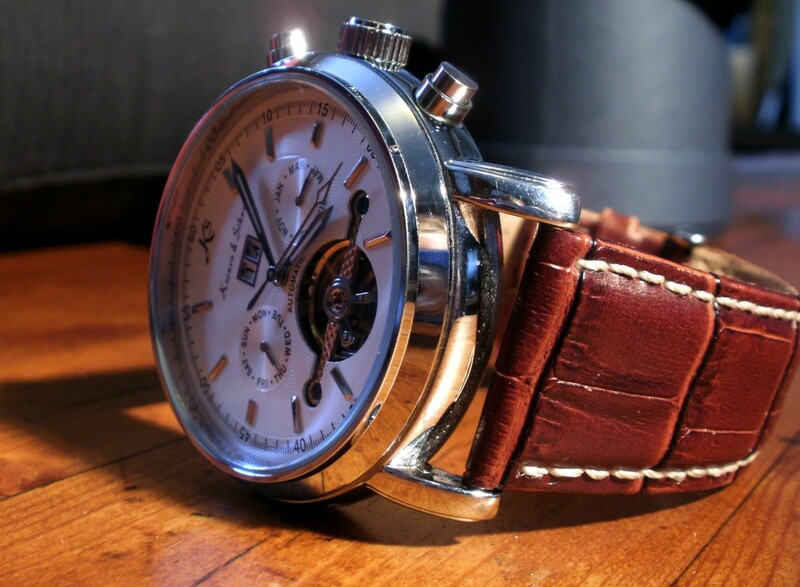 The brownish stainless steel case provides a brassy effect. I prefer black or normal stainless steel but not everyone’s taste matches mine. 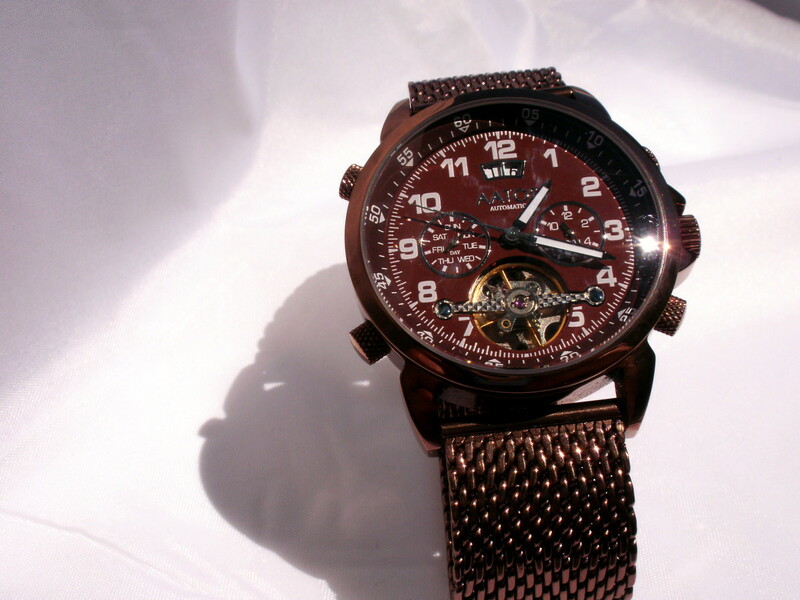 The dial is brown with silver rims surrounding its subdials. The large white numbers are clearly visible against their dark backdrop. Silver minute and hour hands are coated with effective luminous paint. Two windows at the twelve o’clock position display the day of the month. A subdial indicating the day of the week is located below and to the left. The second subdial, which displays the month, can be found to its right. These functions are adjusted using the associated pushbuttons. For reasons related more to practicality than style—the upper-left-hand button is actually a knob—these pushbuttons are knurled. 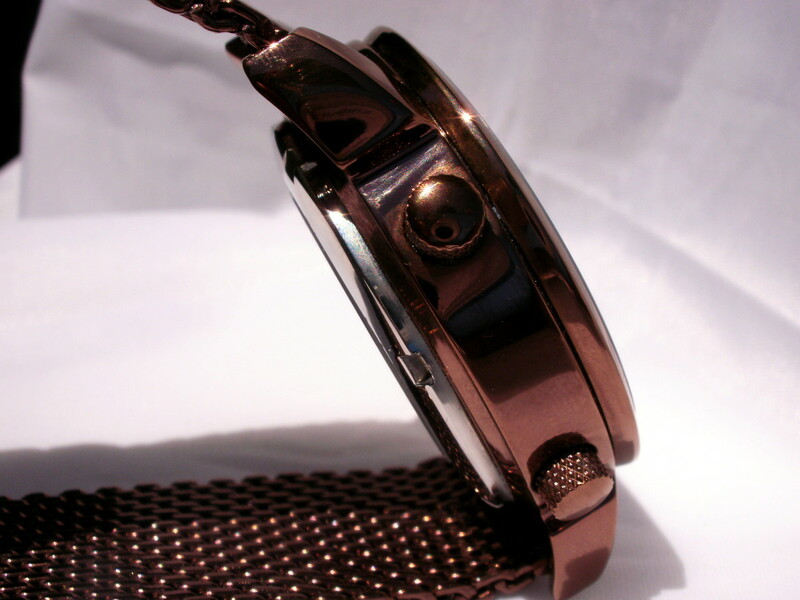 Many watches feature a bezel which can be rotated to allow the wearer to time an event. On this Aatos the numbers along the outer rim of the dial indicate minutes. This rim is actually a ring which can be rotated by turning the upper-left-hand knob. While this method is cumbersome compared to the adjustable bezel, it is decidedly more eloquent. I believe the Aatos rotatable ring will prove a more popular styling feature than Movoda’s mix-matched hands. The Aatos G-TiosBrBrBr model is slightly different than mine. The dial’s outer ring is numbered thirteen through twenty-four to provide a twenty-four-hour clock. While this ring is rotatable, the feature is of no discernible use. A circular cut-out at the bottom of the dial provides a view of the timing wheel. The transparent window located at the back of the watch allows for examination of the movement’s inner workings. 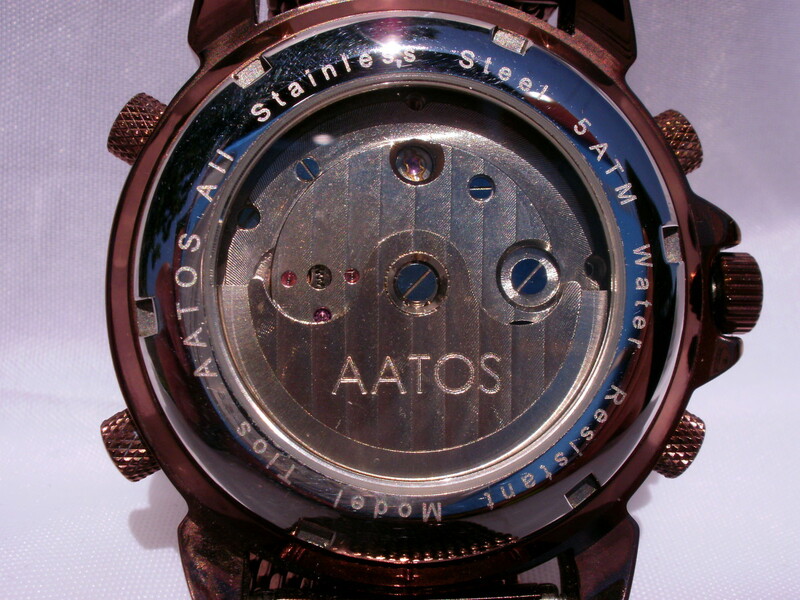 The rotor is nicely etched and inscribed with the brand name, Aatos. In my opinion, Aatos has merged the least desirable elements of a metal and a leather band. 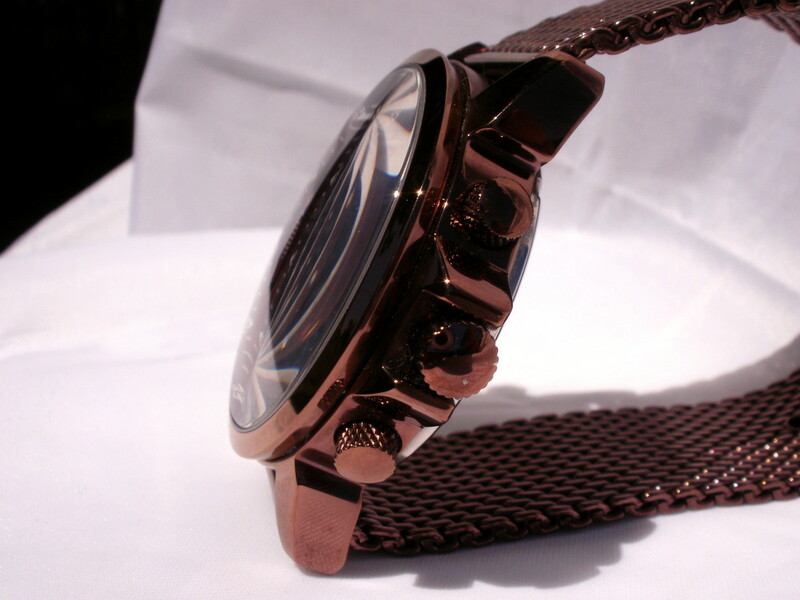 The strap, colored to match the watch’s case, is composed of stainless steel mesh and fastens in the same manner as a standard leather watchband. Mesh bands are very durable because their structure is held together by intertwined metal loops rather than pins. On this particular strap, the individual loops are larger than normal although not as bulky and loose as found in shark mesh. Larger loops necessitate greater than normal spacing between adjustment holes in the belt. Sizing is not as exact as desirable. In one position I find the strap overly snug. Utilizing the next adjustment hole results in a fit that is excessively loose. The free loops, used to secure the end of the strap, are composed of metal. While sturdy compared to those fitted onto a leather band, they are difficult to work with. Aatos is what is commonly known as a mushroom brand. Aatos, M Johansson and Eppman are all trademarks owned by a marketing company which, unfortunately, I have been unable to identify. 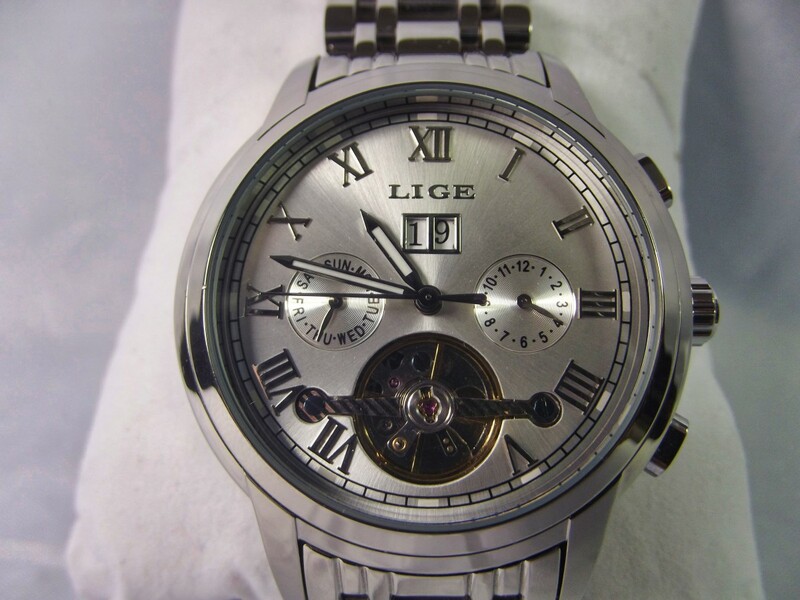 German based vendors are used to distribute their watches via EBay and Amazon. I suspect these vendors; AJ Watches Germany and Watch Store Germany, are owned by the same marketing company. This business is likely based in either Germany or China. 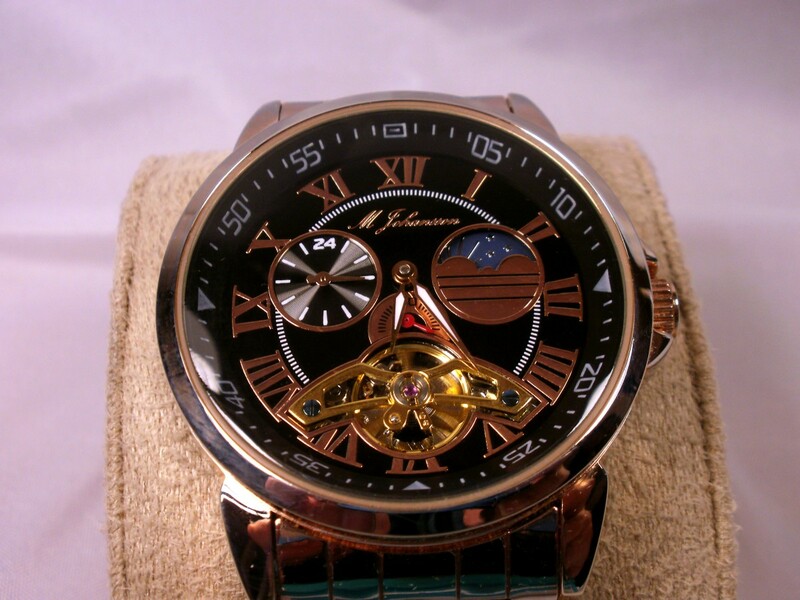 Possibly these watches have been designed in Germany but they are manufactured in China. I find the dial’s color combination of brown with white numbering to be quite attractive. Certainly it is easy to determine the time at a glance. I’m not so fussy about the brown case/band combination but it has grown on me. To be sure, it is refreshing to own a watch which is significantly different than others in my collection. I have reviewed another timepiece that, visually, sets itself apart. Inexpensive and gold plated; the M Johansson G-MhsenoRgRgB is worth a look. I placed this timepiece into my Diplomat watch winder for seven days. During this period, the day of month indicator and both subdials worked correctly. This watch gained an average of 7.14 seconds per day. A reading such as this is considered excellent for a timepiece in this price range. Many far more expensive watches do not meet this standard. The crown snaps in and out nicely, however, there is a slight sloppiness in its operation when adjusting the time. The knob used to rotate the dial’s outer rings works well. All three pushbuttons perform satisfactorily. Stated water resistance is better than other Chinese automatics I have tested. Overall appearance of this timepiece suggests above average robustness. The mesh strap will outlast the watch. 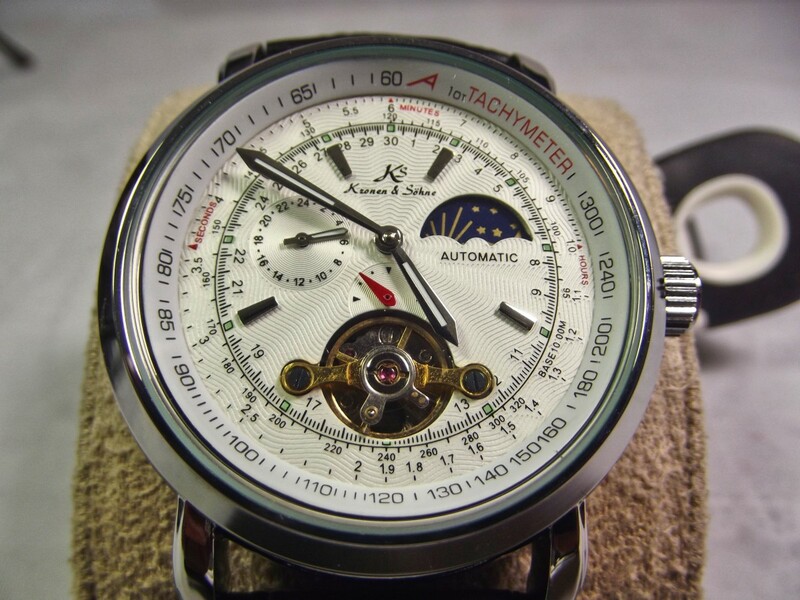 Automatic watches require cleaning and lubrication every three to five years. If left neglected, the timepiece will gradually become less accurate and eventually fail. Users normally replace a watch in this price range rather than complete routine maintenance and, under these circumstances, this watch should perform well for three to five years. 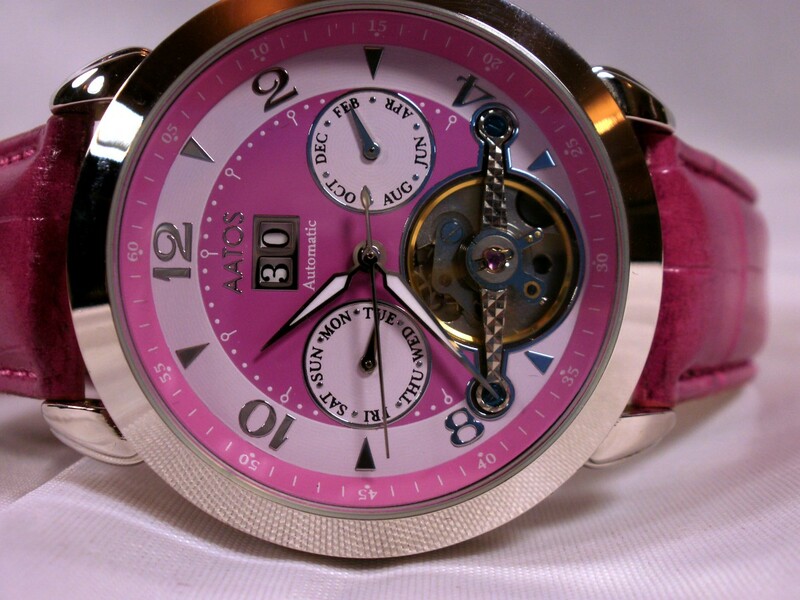 This Aatos is a dependable automatic with many useful features. I especially like the rotatable ring which, on occasion, I have used as a reminder. The accuracy of this timepiece exceeds expectations. I am less satisfied with the watch strap which cannot be made to fit comfortably. One day this band will be replaced. Some timepieces are designed and manufactured with great care to ensure effective water resistance. Other watches are best removed before tackling the dishes. The following survey is intended to determine what level of water resistance is required by potential customers. If you have time, your participation would be appreciated. 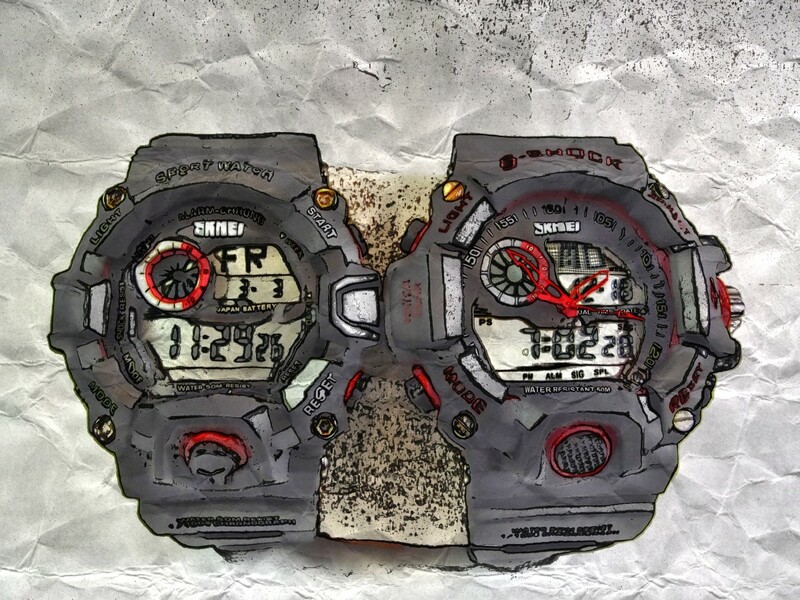 What rating of water resistance do your require when you purchase a watch?